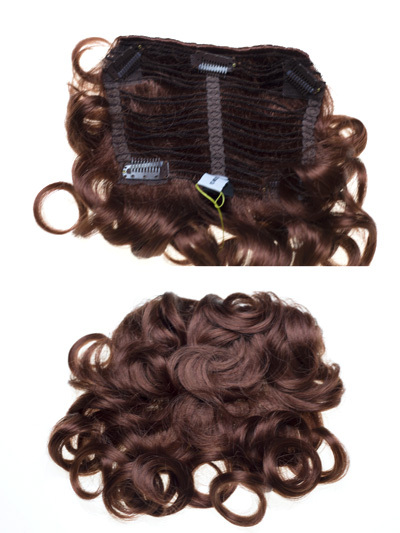 Add volume and length with this lovely wiglet! Attach a piece curly 6" X 10". Layered loose natural curl hair with 3 snapping combs on top and two on the bottom. 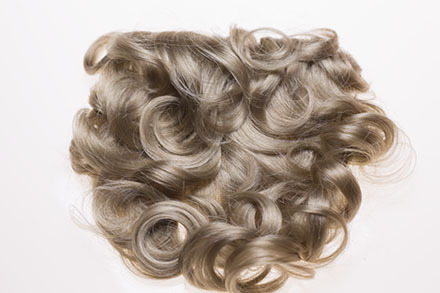 The hair is made from the finest modacrylic, Kanekalon fiber, origin, Japan.